Purchase tickets online, at the theatre box office, or by calling 212-239-6200. The Cort Theatre was built by and named for John Cort, general manager of the Northwestern Theatrical Association, a theater circuit centered in Seattle with playhouses scattered throughout the western U.S. and British Columbia. A fugitive from a vaudeville comedy team called Cort and Murphy, Cort moved from performing to management in the 1890s. The Shuberts acquired the theatre in 1927, two years before Cort’s death. 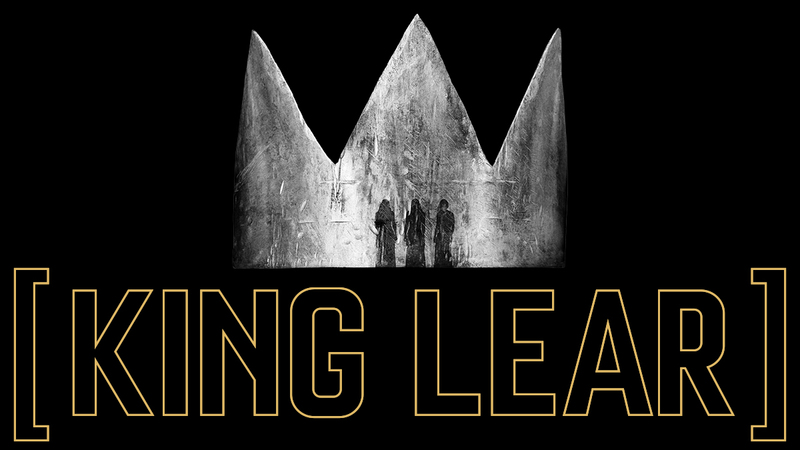 The next production at the Cort Theatre is King Lear. 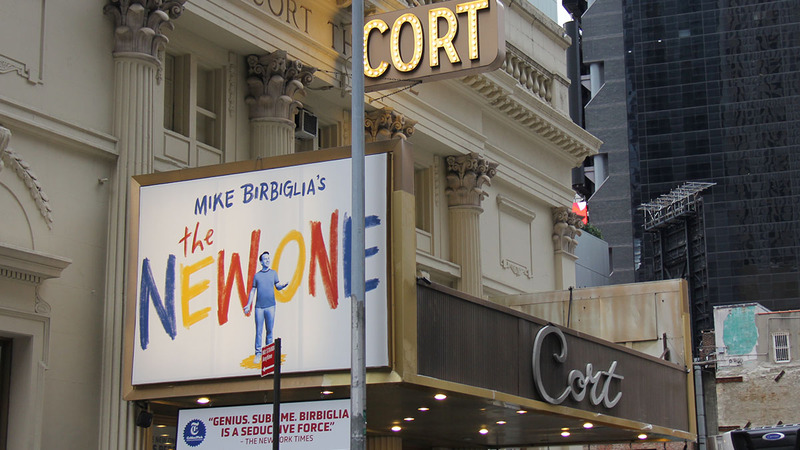 The Cort Theatre has 1,092 seats and is one of the Shubert Organization‘s 17 Broadway theatres. Children under the age of 4 will not be permitted in the theatre. Restrooms are not wheelchair-accessible. Restrooms are located down one flight of stairs (19 steps). The theatre is not completely wheelchair-accessible. There are no steps into the theatre. There are no wheelchair-accessible restrooms available at this theatre. Mezzanine location: Located up two flights of stairs. On the Mezzanine level, there are approximately two steps down per row. Entrance to the Mezzanine is behind Row H.
Balcony location: Located up three flights of stairs. On the Balcony level there are approximately two steps down per row. Entrance to the Balcony is behind Row F.
The Cort Theatre provides at least 10 infrared assisted-listening devices for every performance at the theatre. Beginning four weeks after a show’s official opening-night performance, at least 10 audio description devices are available for every performance at the theatre. In addition, there is unlimited access to downloadable audio description software for personal mobile devices, available beginning four weeks after a show’s official opening-night performance, which provides an automated detailed account of the visual of the production, free of charge, for blind or partially sighted patrons. The theatre also offers handheld devices and software that provide captioning for deaf or hard-of-hearing patrons, available beginning four weeks after a show’s official opening-night performance. Additional devices can be available with at least 24 hours’ notice by contacting Shubert Audience Services at 212-944-3700 or [email protected]. There is also a representative at the Shubert Audience Services kiosk at every performance to assist any patron with the audio description devices, software, or captioning devices. Built as a showcase for producer John Cort’s productions, this theatre opened in 1912 with Laurette Taylor in Peg o’ My Heart, which ran for 607 performances. Now owned by the Shubert Organization, this playhouse’s most recent productions have included Sylvia; Larry David’s Fish in the Dark; This Is Our Youth; The Cripple of Inishmaan; Ian McKellen and Patrick Stewart in repertory in Waiting for Godot and No Man’s Land; Breakfast at Tiffany’s; Grace, starring Paul Rudd and Michael Shannon; The Lyons, with Linda Lavin; Stick Fly; a revival of Born Yesterday; Time Stands Still; the Tony-winning revival of Fences starring Denzel Washington and Viola Davis; A View From the Bridge with Liev Schreiber and Scarlett Johansson; Will Ferrell’s You’re Welcome America; The 39 Steps; The Homecoming; Radio Golf; The Little Dog Laughed; Barefoot in the Park; On Golden Pond; Mario Cantone’s Laugh Whore; Bobbi Boland; A Year With Frog and Toad; Hollywood Arms; If You Ever Leave Me … I’m Going With You! ; The Gathering; and The Green Bird. The 1990s found Kat and the Kings; Nicole Kidman in The Blue Room; John Leguizamo’s Freak; Cherry Jones in The Heiress; Anna Deavere Smith’s Twilight: Los Angeles, 1992; Two Shakespearean Actors; and The Grapes of Wrath (Tony Award). In the ’80s, Sarafina! ; Ma Rainey’s Black Bottom; Medea with Zoe Caldwell (Tony Award) and Judith Anderson; Twice Around the Park; Tennessee Williams’s Clothes for a Summer Hotel; Home; and Jessica Tandy and Glenda Jackson in Rose all called the Cort home. The Merv Griffin Show was broadcast here from 1969 to 1974, at which time the Shubert Organization restored the theatre and returned it to theater legitimacy with The Magic Show, starring Doug Henning, and Al Pacino in Richard III. Productions during the ’60s included The Hostage; Advise and Consent; Purlie Victorious, written by and starring Ossie Davis; Robert Redford in Sunday in New York; Kirk Douglas in One Flew Over the Cuckoo’s Nest; Menasha Skulnik and Louis Gossett in The Zulu and the Zayda; Donald Pleasence in Poor Bitos; and Carl Reiner’s comedy Something Different. In the 1950s: Katharine Hepburn in As You Like It; Uta Hagen in George Bernard Shaw’s Saint Joan; José Ferrer and Judith Evelyn in The Shrike; The Fifth Season; Geraldine Page and Albert Salmi in The Rainmaker; the Pulitzer Prize–winning drama The Diary of Anne Frank; The Rope Dancers; and Ralph Bellamy (Tony Award) as FDR in Sunrise at Campobello. Some distinguished productions of yesteryear: Meg Mundy in The Respectful Prostitute (1948); Katharine Cornell and Marlon Brando in Candida (1946); Fredric March in A Bell for Adano (1944); Café Crown (1942); José Ferrer in Charley’s Aunt (1940); The Male Animal (1940) starring Elliott Nugent and Gene Tierney (1940); two smash farces directed by George Abbott: Boy Meets Girl (1935) and Room Service (1937); and Laurence Olivier in The Green Bay Tree (1933).